Earl Grey…our Cat Maudy CAT companion, and buddy of 17 years….had to move on to the after life. – No fear. 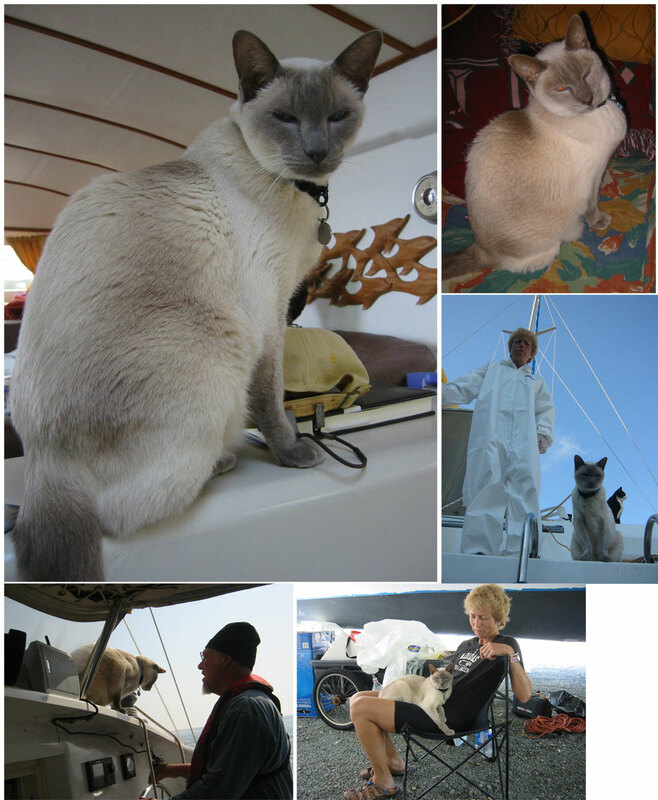 Earl had no issues standing on the bow of Cat Maudy…at the very edge. – Always lending a hand. Earl always stood by, even during the toughest challenges or projects. – Siesta time. Earl had a knack of knowing when WE needed to rest. – Endless luv. No matter how tough your day, Earl was there to let you know it’s all “small stuff”.